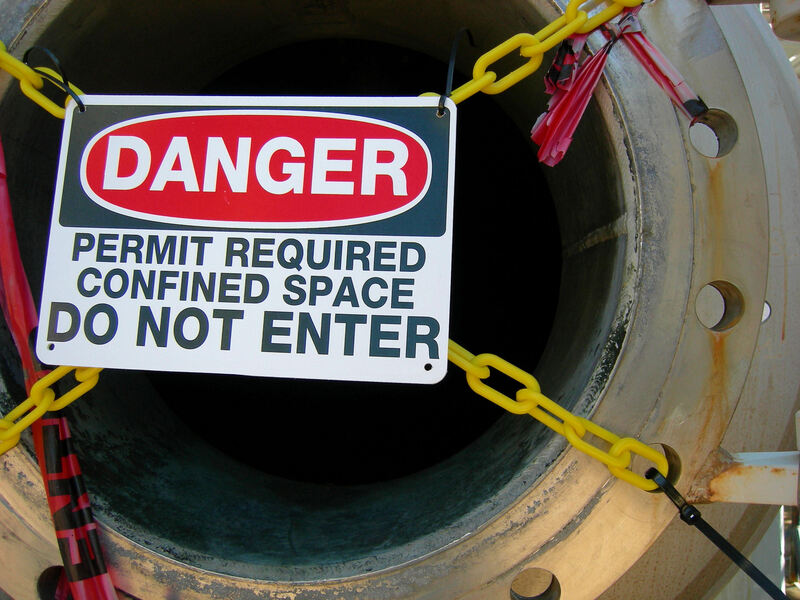 There have been increased calls for employers to protect their workers who are undertaking work in confined spaces, after a number of incidents last year. Minister for Better Regulation Matt Kean said “small spaces like silos, chimneys, tunnels and tanks are not designed to be worked in regularly, but sometimes they need to be accessed for cleaning, maintenance or repairs. In May, a 28-year-old man and a 35-year-old man died in an incident at a paper mill at Ettamogah. Initial inquiries indicate the men were working in the basement area of the mill when they were overcome by Hydrogen Sulphide gas and collapsed. In August, a 58-year-old man died on a rural property near Dyraaba with initial inquiries indicating the man was repairing a damaged water tank on the property when he was overcome by fumes and was unable to be revived. SafeWork NSW has reinforced that simple and low-cost solutions are available to all workers conducting work in a confined space. They recommend that, where possible, workers should stay outside confined spaces and if at the initial building stage, spaces should be designed so there is no need to enter. There should also be a competent stand-by person outside for support if needed, atmospheric testing should be carried out prior to work commencing and all safety equipment be at hand, including a safety harness, lifting equipment, and a lifeline rope. Mr Kean emphasised the importance of preparation and consideration of the work being undertaken: “when required to work in a confined space, workers should regularly clean the air space, keep it well ventilated, and have an emergency plan,” he said.